Hedgehogs are insectivorous (insect-eating) mammals and, until recently, were placed into the Insectivora order. Unfortunately, despite the retention of several ‘primitive’ mammalian characteristics, which has made this group of great interest to evolutionary biologists, the considerable study and debate about the Insectivora has failed to yield a taxonomic scheme that can be widely agreed upon. Even with the advances of molecular genetics, the details of how this group should be classified are highly contentious. The specifics of this problem are largely out of the scope of this article, but I will try and summarize the situation here. Traditionally, the Insectivora had been something of a dumping ground for smallish insect-eating mammals that were rather unspecialised in their appearance; it included the hedgehogs, shrews, moles, tenrecs (sometimes referred to as ‘fake hedgehogs’), and colugos (gliding mammals found in Southeast Asia, also called flying lemurs). All-in-all, there were around 350 species classified into 60 genera. Use of the Insectivora as a taxonomic order has, however, been largely abandoned in recent years; more rigorous study, combined with the advent of molecular genetics has yielded quite different phylogenetic arrangements to those proposed by early naturalists. The first broad split of the Insectivora was proposed in 1864; it was divided into two groups (called “clades”) on the basis of their intestinal anatomy, which (after a bit of tweaking) were named the Menotyphla and Lipotyphla. Subsequent morphological analyses led to these clades being further split into four orders: the menotyphlans were divided into the Protoeutheria (extinct insectivores), Scandentia (tree shrews) and Macroscelidea (elephant shrews), while the remaining animals (hedgehogs, moles and remaining shrews) remained lipotyphlans. Morphologists followed this arrangement for many years until along came molecular sequencing. By definition, a clade is only considered valid if it’s monophyletic – that is to say, if it contains the ancestor and all its descendants. The molecular data are controversial, largely because different genetic markers produce different results, but the emerging consensus is that the Lipotyphla is not monophyletic (i.e. it’s not a valid clade) and should be split into two monophyletic groups: the Afrosoricida and the Eulipotyphla. Additional genetic work suggested that the tenrecs (family Tenrecidae) and golden moles (Chrysochloridae) are distinct from the other lipotyphlans and warrant their own order; the Afrosoricida was proposed in 1998 to house these animals (with sub-orders Tenrecomorpha and Chrysochloridea). After removing the tenrecs and moles, a group of taxonomists at the Institute of Statistical Mathematics in Tokyo placed the remaining lipotyphlans into the Eulipotyphla order in 1999. In a 2002 paper to Molecular Phylogenetics and Evolution a multinational team of biologists, fronted by Christophe Douday at Queen’s University of Belfast presented data supporting the Japanese taxonomist's inference that the Lipotyphla is diphyletic (i.e. needs to be split); their data also provide strong support for a sister-group relationship between the hedgehogs and shrews, when moles are excluded – in other words, hedgehogs are more closely related to the shrews than they are to moles or any other insect-eater. Some (namely nuclear DNA) molecular studies have continued to support the monophyletic status of the Eulipotyphla but many taxonomists consider the Eulipotyphla is only monophyletic if the moles (Talpidae) and hedgehogs (Erinaceidae) are taken out. In addition to this, a morphological study of snout musculature by Howard Whidden, published in the Journal of Mammalian Evolution during 2002, suggested that we also need to reconsider the relationships of the golden moles, tenrecs, elephant shrews, aardvarks and several other African mammal groups. To cut a long story short, it appears from the mtDNA data that hedgehogs should be placed in their own order, the Erinaceomorpha (as originally proposed by Malcolm McKenna in 1975), leaving the shrews and moles grouped together in the Soricomorpha order. The Eulipotyphla is now more typically thought of as a grand-order (i.e. a taxonomic group containing closely-related orders), but even this is arguable. In The New Hedgehog Book, Pat Morris sums the situation up nicely when he says that, when it comes to insectivore taxonomy, one thing we can be fairly confident of is that hedgehogs have no really close mammalian relatives, although they have distant links to the moles and shrews. Here I will follow McKenna’s proposal that hedgehogs should be placed in their own order, distinct from the moles and shrews. Thus, within the Erinaceomorpha sits the hedgehog family (Erinaceidae), which can currently be divided into two subfamilies: Erinaceinae (the spiny hedgehogs) and Galericinae (formally Echinosoricinae – the hairy hedgehogs, or ‘moonrats’, and gymnures). Eight species of Galericids are recognized, split into five genera: the moonrat (Echinosorex gymnura); lesser gymnures (Hylomys); Philippine gymnures (Podogymnura); shrew gymnure (Neotetracus, formerly synonymised with Hylomys); and the Hainan gymnure (Neohylomys, formerly synonymised with Hylomys). 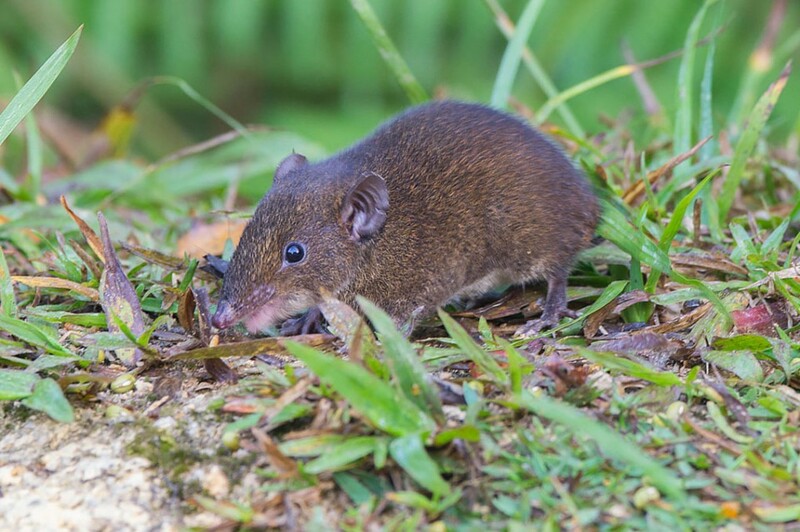 Gymnures are curious-looking creatures; appearing more like large shrews than hedgehogs. Spiny hedgehogs (Erinaceinae) have a fairly unique appearance among British mammals and have been relatively well studied. Having read this far, however, it will come as no surprise that there is debate among experts as to how many species of spiny hedgehog there are. In his 1965 book Hedgehogs – A Comprehensive Study, an abridged translation of his 1952 book Igel, German zoologist Konrad Herter described more than 20 species and several subspecies of spiny hog. Despite controversy over the numbers, most authors agree that there are between 11 and 14 species of spiny hedgehog. Perhaps the most comprehensive review of hedgehog taxonomy was produced by University of St. Andrews graduate and former curator of the British Museum of Natural History, Gordon Corbet in 1988. In his paper, published in the journal Mammal Review, Corbet revised the existing hedgehog taxonomy, presenting data for the existence of 14 species of spiny hedgehog in four genera: Hemiechinus (four species of long-eared hedgehogs); Atelerix (four species of African Pygmy hedgehogs); Paraechinus (three species of desert hedgehogs); and Erinaceus (three species of European hedgehogs). Subsequent authors have synonymised (merged) Atelerix with Erinaceus, and Paraechinus with Hemiechinus, while others have preferred to demote each to subgeneric status. 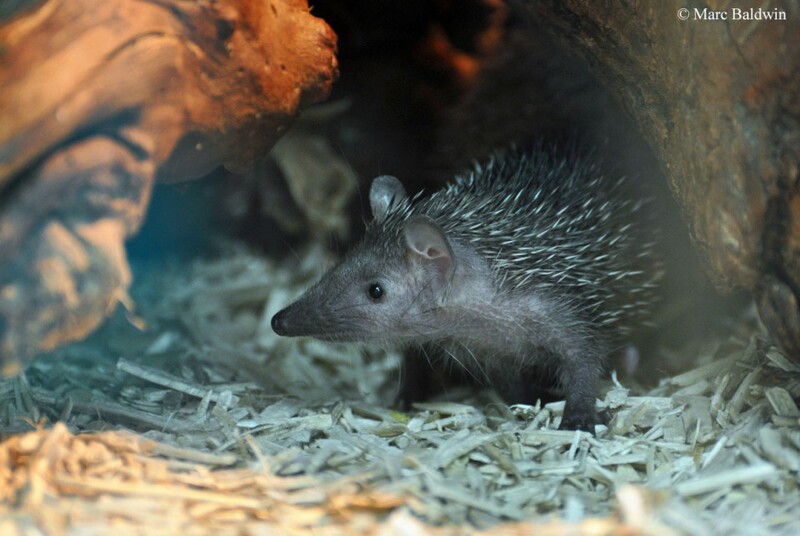 In their review of the hedgehogs and gymnures, published in the Biological Journal of the Linnean Society during 2014, Anna Bannikova and her colleagues place Erinaceus as the sister group to all other erinaceines. In other words, Paraechinus, Hemiechinus, Mesechinus and Atelerix are all more closely related to each other than any one of them is to the Erinaceus hedgehogs. Finally, it is briefly worth mentioning the tangled taxonomy of the eastern hedgehog (E. concolor); various authors have argued either that it is a distinct species, or that it is a subspecies of E. europaeus. In his Mammals of the Palaearctic (published ten years before his hedgehog taxonomy review), Gordon Corbet listed 40 ‘forms’ of Erinaceus europaeus, classifiable into nine probable subspecies; among these subspecies was E. europaeus concolor (concolor being Latin for “of uniform colour”). The results of a chromosome analysis, however, presented as a short paper to the journal Nature in April 1967 by biologists at the Pathologisches Institut der Universität Bonn in Germany, was the first genetic evidence of which I am aware to suggest that Eastern and Western hedgehogs were different species. Subsequently, in 1978 Nils Mandahl presented data that not only supported the species split, but showed that the karyotype (basically an organized profile of an organism’s chromosomes) of the eastern and western hedgehogs can be divided into two and three “races”, respectively. Mandahl’s subjects included two western animals collected from southern England, both of which showed a karyotype distinct from his samples collected from Germany, Poland and Scandinavia; he named this karyotype “WIII”. Subsequent analysis of the bone marrow from a hedgehog caught by a trap in Aberdeen by Jeremy Searle and I. Erskine concluded that the karyotype was most readily classified as WIII, suggesting this race may be widespread in Britain. More recently, in a paper presented to the Third International Hedgehog Workshop during 1999 (and later published in the journal Molecular Ecology), Fiammetta Santucci and colleagues at the University of East Anglia reported on the “DNA footprints” of European hedgehogs. Not only did the geneticists find a deep divergence between E. europaeus and E. concolor (i.e. supporting the idea that they’re distinct species), they also observed a further subdivision of the species themselves into western and eastern clades. In other words, their findings imply that there is sufficient genetic variation between E. europaeus in Germany and Italy and those in France, Spain and the UK to suggest the two populations represent subspecies. Similarly, there may be two subspecies of E. concolor; one in the Balkans, Greece and northeast Italy and another in Turkey and Israel. Santucci and her colleagues’ data also suggest that E. europaeus and E. concolor diverged nearly six million years ago, while each species further diverged into their respective clans about three million years ago. More recently, the 2014 study by Anna Bannikova and colleagues also supports two groupings that separate europaeus and concolor. Interestingly, these data further suggest that E. europaeus and E. amurensis, the Amur hedgehog native to Russia, China and Korea, are sister taxa – i.e. more closely related to each other than any other species. E. concolor, by contrast, seems most closely related to E. roumanicus, the northern white-breasted hedgehog that’s found throughout eastern Europe, from Poland in the west to Siberia in the east. The situation is complicated because hybrids of E. europaeus and E. romanicus have been observed in captivity and in the wild with human intervention, although it remains unclear how often the two species meet or breed across their natural range. While the idea of these subgroups and races is an interesting one, it should be noted that not all studies support it. In 2005, nuclear studies (MHC) by Karin Berggren and colleagues, published in the journal Heredity, only found support for the two E. concolor subgroups; north and south of the Bosphorous strait that separates the European and Asian parts of Istanbul. 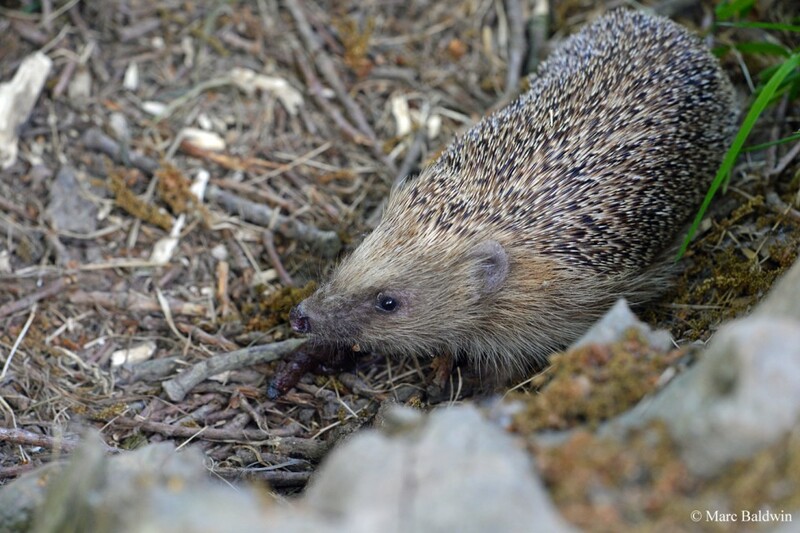 Nonetheless, genetic profiling of Western hedgehogs from Oxford has demonstrated significant genetic differentiation between neighbouring populations, suggesting that the populations don’t mix very often – genetic isolation is one factor involved in the formation of new species and subspecies. So, despite a few arguments, the general consensus at the moment is that the eastern and western hedgehogs represent two separate species. 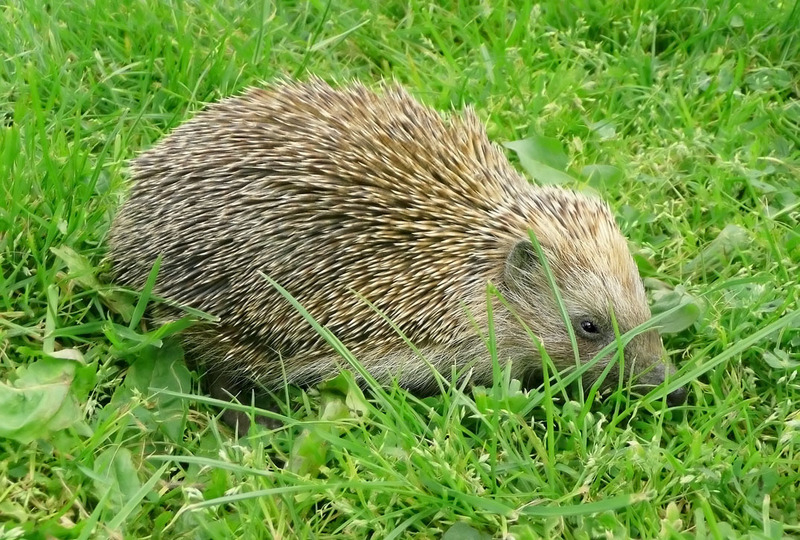 In his booklet, The Hedgehog, Pat Morris states that the British hedgehog had previously been considered a separate subspecies, Erinaceus europaeus occidentalis (occidentalis being Latin for “western”), from those on the European continent; but he considered the minor differences leading to this separation to be unjustified, given the terrific variability in the species. Note: For the purposes of this article, where I use the generic term “hedgehog” or “hog”, it is to Erinaceus europaeus that I am referring. For more information on how species are classified, see my Taxonomy page.